Easily cowed and bullied, she was the useless, ugly woman with no talent in medical skills. Supported by millions, he was Tianning’s most respected duke with the power to move all under Heaven. On their wedding day the bridal sedan was carried to the front doors, but the Duke of Qin’s gates were shut tight. All alone, she walked step-by-step full of pride through the duke’s doors. Little could they imagine, this unattractive good-for-nothing was a beautiful, genius doctor of poisons! After transmigrating to the past, poisons expert Han Yunxi finds herself on the verge of being married off to the country’s second most powerful man, the Duke of Qin. Her future life seems set–except her husband is an unfeeling ice block, her in-laws think she’s a eyesore, the empress dowager wants to use her for her own goals, and poison-related plots abound. Alone, the intelligent (and sensible) Yunxi must carve her own space from the intricate web of court intrigue and the jianghu, relying on her words, wits, and wisdom to survive. Adapt when necessary, use force when required; to survive and thrive is the name of the game to a prosperous life. No matter what, she’ll prove her right to live! This novel became one of my favorites quickly! From the beginning the storyline captured my attention right away. It has a good story and character development. There are a lot of scheming involve which can be a little too much for my liking at times but overall all the schemes are good! Both male and female leads have their own secrets that will slowly unfold throughout the story. This will keep you on your feet because you will be curious to find out their secrets. I found myself excitedly looking... more>> forward to read the next chapters due to my curiosity. Spent a lot of late nights reading this novel. 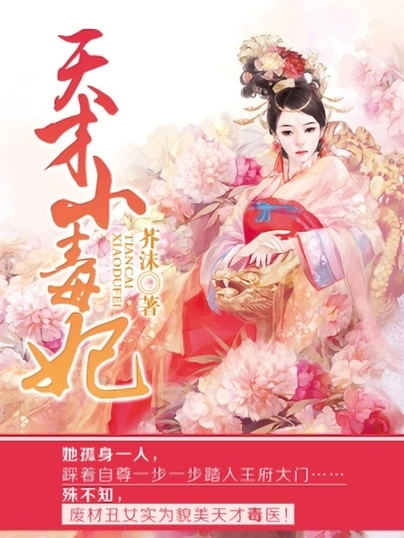 I do highly recommend this novel if you're looking for a good storyline, good writing translation, slow build romance, strong romance, ice cold male lead, smart scheming female lead, arrange marriage, jealousy (eating vinegar), scheming, some actions scenes, and good character development. Novel description sounded fine, but actual story is sh*t. MC is supposed to be intelligent though she utterly fails at many steps and accepts it as if its morning breakfast. She just takes whatever is thrown her way like a rag doll and does nothing to help herself. ML is as the story describes an ice block. Does not care, only looks for his benefit and does not show any concern whenever people attempt to drag down MC. I... personally am unable to see the attraction of this story. I can acknowledge that it is well written for a chinese shoujo novel and that I can see how others would definitely appreciate it far more than me. Even the Male Lead is far more reasonable, far less stalkerish and far less abusive, if aloof, than almost any other Male Lead in this genre which is thankfully enough, one of the few things I enjoyed about this story. However as an individual, I am completely incapable of enjoying this story.... more>> The MC is not an assassin, she's a perfectly normal doctor, equipped with a cutting edge analytical system embedded in her mind which conveniently enough, comes with a personal inter dimensional pocket and medicine generator, Doraemon style. Her actual skill on the other hand, is pretty much just that of a normal modern day doctor who just so happens to be pretty experienced in the resolving, and administration of poisons. She's not going to identify poisons and sicknesses at a glance, she's not going to pop out some miracle pill that can heal instantly nor is she going to tower above anyone in power. I actually find that fact rather refreshing. However, therein lies the issue. She's fecking SURROUNDED by assholes. In most other CN novels, these people most likely wouldn't survive any longer than 20 chapters. In this novel, they not only stay alive the entire story, the MC heals them, helps them, saves them, so they can backstab her REPEATEDLY. over and over again. Because, y'know, they're imperials. Royalty who can do whatever they want, they can scheme, humiliate and embarrass whoever they want, including the MC. From some perspective, I will not deny that it's... new and a refreshing difference from all those other wuxia novels where the offending parties get slaughtered simply for offending the wrong person. Not one of my all-time favorites, but still enjoyable and easy to read, and better than most. Self-sufficient, level-headed, strong-willed female main characters. A main character who is very skilled, but not OP. Mystery, martial arts, and political intrigue. A romance that develops VERY slowly. A main character who has an almost magical special ability that no one else has. A main character who is constantly struggling and being beaten down each time she rises up. Han Yunxi is a genius poison doctor in a modern era. After her unexpected death, she is reborn in the body of a "useless trash" daughter of a medical family, about to be married to the cold and aloof Duke of Qin, Long Feiye. However, her new husband refuses to even meet her at the door, her new in-laws hate her, her old relatives despise her, and she's been drawn into an ongoing feud within the palace... with only her unique poison skills help her. Han Yunxi is level-headed, stubborn, and a realist. She does arrive in the past with a "cheat ability" (her futuristic poison detox/detection system), but she is not OP. Despite her poison abilities, she is faced with constant trials and struggles in the form of social schemes and physical danger. She has zero martial arts ability, her schemes don't always work as planned, she refuses to kill ruthlessly because of her previous occupation as a doctor, and she has little to no help from others. Overall, she is acceptable to read and her struggles are easy to understand. Overall, this is one of the better and more realistic novels in the "genius female reborn as trash daughter in ancient era" genre. I enjoyed it and read all 144 translated chapters in two days. (Edit: Now at Ch. 270) I would give it 4.5 stars if I could. Lowered my rating to 3.5 stars (I'll give it 4 stars just for the good translators). Like many readers, there have been many times when the male lead, Long Feiye, has driven me up the wall in frustration. Frankly, it irritates me how both Yunxi and many readers immediately forgive/forget the many times that he neglects, assaults, or abuses the MC. The things he does to "redeem" himself never feel like enough. The feelings that he and the MC finally develop just feel too forced and quick to be believable (their relationship does drastically and suddenly turn for the better later on). Maybe he's acceptable for younger readers, and readers just looking for hot guys and fluff, but for me, watching their relationship is uncomfortable. Furthermore, as the chapters progress, the story gets further and further away from reality. I mean, there has always been a fantasy element to the story (reincarnation, godly poison skills, secret powers), but the story becomes filled with cliche elements, like super cute hyper-intelligent animal sidekicks, the MC's ability to instantly master weaponry, miracle herbs/substances, unnecessary fluff, etc. There used to be sort of a grounded logic and reason to the novel that I liked, but after the first hundred chapters it just becomes more and more like a wild teen fantasy. Debating whether I should drop it or not. Don't expect OPness that overturns the heavens, okay. Authority is there for a reason, not because the more powerful pity them. This world's hirearchy is not based on strength, it's political. Don't expect Han Yunxi to just start killing people left and right to solve problem, how fcking ridiculous. She's not those barbaric characters. She actually reflect modernistic values without the author putting it into narration. Don't expect a fast plot ride. This story is a slow-reacting poison. It has been pointed out that the annoying bxtches stays throughout the whole story but knows that that is entirely wrong. The story turns into political intrigue WITHOUT bxtches by the time all kind of courtyard's matters warped up. And that's when sh*t got real yo. Expect nothing from the ML, so when the ice melts, you will be in joy of spring just like Han Yunxi. To elaborate on the romance relationship; essentially, it's not much different from the other stories. ML seems to fell in love and be possessive without a reason. FL is the same; her infatuation seems to came out of nowhere, or maybe from very vain reason. But they are both sensible human being that prioritize survival of oneself and know their responsibility, and they are proper adults able to get sh*t done first rather than swoooon swoooon then just destroy everything with a mighty force and whatever. THAT'S why the development is slow, also excruiating initially. Because they both actually show characteristics of proper human being with their own personality, depth, and values. Oh and this story leans toward political intrigue more than just series of bxtchslapping bxtch events/revengeeeeeeeee for all the villain has done to this bodyyyyy/bxtches swarming to the ML and make trouble for FL. Oh no, it is not that kind of stories. Trust me. So PGC is really not an exciting fast read, you must let the poison dwell in your blood first. I enjoyed this enough to read from beginning to end twice while suffering through MTL. One of the few series where the MC is not OP in everything and the romance is not instant. Despite being married, the romance isn't finalized until many years. It's more like dating during those years. While her poison treatment skills are excellent, she still has to go through a slow level up process. In fact, all her skills have a nice slow level up. Because of her weaker skills, she makes a good pairing with her husband. All the characters have full fledged personalities, even the villains. The plot is also well fleshed out and all the mysteries are solved by the end. Because poison is the highlight of the story, once the main poison villain is removed, the rest of the story stagnates a bit. At chapter 1368, the story ends on a cliff hanger, so I'm dying to see if there will be be a second volume. I also hope poison will come back as the main focus. MC is very humane in her ways, and despite being poison expert she is not arrogant at all. She's no push over or cry baby or a baggage for her love interest. In contrary, she is independent minded, smart and optimistic. She is the more action less talking MC which is always a plus. She is not full circle OP as she... more>> is no martial arts expert and she literally have no political power or standings so sometimes this gave ways for male love interest to help her. YET she is no damsel in distress. When I first read through the summary I found the fact that she herself walked through the duke's door after being previously shut out was very bold and highly interesting. And the story really didn't let me down. Interesting story aside, this one actually feels refreshing as our MC is smart and sensible, not arrogant nor bloodthirsty and most of all she is not OP (though she does have something cheat-like that I'm not able to come to term with yet). We already got told that the male lead is an unfeeling... more>> ice block. He is not only unfeeling and uncaring toward our MC but toward anyone, which I think makes his character consistent. And for an ice block to melt, it will take some time and effort, not just one or two surprises from our female lead. Anyway some may say that the story is too slow, but if you consider that it's got 1360 chapters and is ongoing, I think that it's ok to lean back and wait to see how it plays out? I liked it so much that I just had to write a review (my first ever) so give it a try. There's some really strong potential for good storyline here... problem is the basic setup of the plot is legitimately stupid. Here's a very quick and dirty rough gist, MC will save a life, antagonists (all women, all INCREDIBLY stupid and willing to give up advantages in ways that make no logical sense) will harass her during the process, she'll gain popularity or freedom or something from being a savior.... before she gets double crossed less than a chapter after. I'll be frank, the writing honestly isn't half bad.... if the antagonists... more>> were even halfway plausible. Since they're not and all that I'm capable of lamenting is how much the antagonists are willing to go out of their way to try and hurt a neutral party. I just had to drop the series because it's not worth it. For an example of how stupid the antagonists are, the first pair have dealings with the victim. Both of them are willing to jump the gun and attack a doctor who tried to save the victim, later even foregoing any treatment of the victim strictly so they can save their ego. Bear in mind that apparently one of the antagonists is in love with the victim, they have NO plans whatsoever in case they're wrong and the MC is their only hope of saving this person. I'm sorry, I can't take it, that's too stupid. You don't just kill one person (whom you supposedly care about by the way) just to frame another person, it's just too incredibly stupid. For those of you opposed to global warming, do not read this story! Fans are rabid about wanting to melt icebergs! Okay, it's just One Iceberg. But he puts all other icebergs to shame! On another note, this is something you should pick up if you like a female MC that is no nonsense, level headed, and kicks the door open to her fate on her own. Like literally. Also, prepare your little heart for heavy doses of second male lead syndrome. Who is the real male lead is yet to be... more>> approved by fans! This novel appears to be getting a lot of meh or worse reviews, which are seriously uninformed by reading past the first introduction of the local characters; the first 30-100 chapters are not the whole story, they are mostly exposition. Yes, it takes a long time to establish a relationship with the characters of this story, in part because you don't meet many of the most important people until quite a bit later. The story is long, and it twists and turns and contorts along the way. I cannot report... more>> on the ending, as I am not there - just over 1/3 of the way through, presently. In the beginning, the author sketches in the world, and some of the people, who then are fleshed out pretty quickly. The primary characteristics of the lead characters are established, and then we get the first hints of action. Some bantering, and typical main character abuse (she is married to a royal) by the direct line royals, and we have our introductory arc. Following that are numerous small arcs of scheming, poisoning (it's in the title), healing, and relationship building, all comprising the first instance of more important characters. The world in this story is not small, and it behaves as worlds of this sort of setting generally do - politically, martially, interpersonally. By this time, you care about the main character, and her husband, and various of the secondary characters who are simply interesting. None of the important characters are flat or boring, and most of the unimportant ones are either interesting, or out of the way soon. Nobody is an entirely open book when we first meet them, but their stories unfold along with the plot. The story follows the main couple (the main character, most faithfully, but also her husband) through relationships, including their own, plots, confusion, disasters, triumphs, mysteries, and sometimes circles back for more of the above, all heading, toward mutual understanding and a better run world (we, and the characters, hope). It's still going for me, and engaging enough that the reader can be overjoyed, infuriated and frustrated along with or because of the characters. Not too many of the reviews mention the translation, which is generally a good sign that it does not get in the way of reading the story. It does not. The translation reads smoothly, with helpful notes tucked out of the way, and brings you into the story. The enthusiasm of the translator (and editors) and your fellow readers is apparent in the lively comment section, early teasers, and the pace at which the translation is produced. I've read a lot of transmigration female lead MC novel, but this has to be my favorite! Love it. Something to know when going into this is that the poison expert thing is really a plot device, so if you're going into it expecting realistic poison and usage then you're going to be disappointed, I mention this cause I was slightly disappointed by this myself, though as you can see from my rating the good points make up for it. Another thing to know is the romance in this is super slow, you probably won't get much satisfaction from it till chapters 280ish (assumption made based on... more>> the glossary page of the translator's website), I never really had a problem with it as I like Long feiye and can for some reason understand and empathize with him, but I could definetely see how a lot of people would get annoyed with him. This.... truly one of the best young miss transmigration novel with more interesting characters that keep you in awe to both female and male lead. The male lead is very realistic and not easily fall in love with female lead just because her beautiful face and her talent, unlike the other similar novels which made the male lead seem so cheap and easy to tame. If Black Belly Miss, Chu Wang Fei, and Demon Wang's Golden Favorite Fei are easy mode (Difficulty) then Poison Genius Consort is Very Hard mode (Difficulty),... more>> it is very hard for her to stay alive from the fantastic schemes of antagonists. This novel is probably one of my favorites. I think this novel is pretty underrated by most people. To be honest at the beginning the male lead is so annoying and really cold towards the female lead. Which is the reason why I dropped this the first time. HOWEVER. There was this one time I was so bored and went my way to read it again and happen to find an INTERESTING CHAPTER. HUE. One of the chapter where the male lead actually showed concern. Which surprised and encouraged me to... more>> read it again. AND I AM SO GLAD I DID. Second of all, Long Feieye - the Giant Ice Cube. He's extremely cold to Han Yunxi at the beginning which irked me at first but now I just find it so amusing. Long Feiye kept Han Yunxi by his side even though he's known to be ruthless towards females or even to anyone else. Her being extremely knowledgable about poisons can contribute to that but at most he only acknowledges her intellegence and wit. So why did he kept her by his side? Also, him being cold to Han Yunxi has reasons, which I don't know the details of (see spoiler forums for that) Long Feiye is not detestable. Especially his treatment towards Han Yunxi. The girl is already lucky enough to be not killed after being around him, which says something cause who would care for a cannon fodder with no actual status and just status in paper only? No one. He could kill her and everyone would pass it as an accident. (Except maybe that emperor hmpf) And you'll get what I mean when I say he's not detestable cause HE'S FINALLY MELTING in the latest chapters I am at. The Duke isn't that bad. Unlike all those sh*tty men of ancient times at least he doesn't speak sweet nothings and neither does he use her for... (Cough). Anyways he might have been too extreme with his actions but he clearly shows her on the wedding day that he wants nothing to do with her. One of the good aspects of this novel is that both MC and ML don't fall in love with each other at first sight, though they do take interest in each other as an individual... more>> but that's it. They look out for each other in their own ways and care for each other as individuals. The romance in this novel is at a slow snail speed, the Duke might seem to be indifferent and uncaring towards her but from chapter 45 through the Duke's subtle actions it does show that he cares for her while since the novel is from the MC 's viewpoint we get to know when she starts to care about him and like him. I simply adore MC which made me want to poison all those antagonist and even slap the Duke more than once. The MC isn't OP, fearless, proud and cold she's weak physically but not mentally, she's the type who returns kindness with kindness and evil with evil. She has ability to deal with court disputes but not with the ancient laws, she relies on the people around her when needed but is no damsel in distress. Her character develops throughout the novel along with her relationship with the Duke. Another thing I like about her is that even when she starts to like the Duke she doesn't completely become one of those blind in love idiots at one point of the novel when she finds it unbearable she decides to leave him, and it is this disappearance of hers that makes that (stupid) ice block go crazy and realise how much he fears her leaving him (which honestly made me happy but I was also a little dissatisfied since I wanted him to suffer for like some months considering how he acted as if she did not matter much to him when his impulsive and unreasonable actions out of jealousy was so obvious in the past chapters. I'm a person that holds grudge for a long time). This novel is definitely one I actually try to keep up to date with even with lack of time for other novels. The MC Yunxi is not so OP that every troubling situation she encounters immediately resolves itself. She uses her own knowledge to get herself out of sticky situations (especially with those family members of hers). The romance is slow and believable, with no instant attraction between the two leads. Sure most dislike the ML (nicknamed ice-cube) in the first 100 chapters or so but he slowly does warm up... more>> to the reader. It looks like it will be a while yet before anything will happen between the two. They are pretty busy anyway trying to solve cases and watch out for the people around them. Felt like I needed to bump this novel with a review as I noticed some pretty lame ones given by people who read a few chapters and immediately dropped a bad score for this. This is one of the few novels of the genre (transmigration into ancient China as a waste, court intrigue, scheming) that I would say is an absolute must read. Han Yunxi (main character) is an outstanding female lead that doesn't wither in the face of adversity. She uses her wits and courage (and poison skills) to do battle... more>> with her poor starting circumstances (unfavored by her man, schemed against by mother-in-law and stepsister, royal enemies of her man). She handles each encounter like a heroic protagonist should, charming people as she does. A main complaint of those bad reviews that don't make it past 100 chapters is that the male lead (Long Feiye) is cold to Han Yunxi. While this is indeed the case (readers nicknamed him "Giant Ice Cube"), a lot of the fun is how Han Yunxi eventually melts his heart (takes something like 300 chapters). That relationship changes to one that's cute and sugary, as Long Feiye basically tries to figure out this romance thing for the first time (sometimes frustrating, sometimes hilarious, sometimes "kyaa" worthy). Good story. Female lead has the wits to survive in a time where women possessed little to no power at all in society. But can somebody please tell me when this story will develop the relationship between the female and male lead. I feel as if they have a master-slave relationship. I wasn't that optimistic with their development when I picked this up but seriously CH 200 and still nothing?! The story is a typical transmigration tale. The MC is a woman so expect her to be some sort of abandoned or not favored someone who is being discriminated against in all directions. This time it's not about a broken engagement. Also, not about a genius doctor or a former empress, but a not so far-fetched profession - a genius poison expert. Expect the fun in the first few chapters because they will tell... more>> how she suddenly transmigrated into a bride's sedan. Those scenes are what can grab people's attention into reading it. So here's what will come after. There are interesting conversation and plots in the story but before reaching that, you'd have to torture yourself reading how the MC delivered herself in the household she wedded into, got snubbed and plotted against left right and center by her household and Imperial family. Sounds cliche but later she would treat a general just to suddenly get convicted and jailed for poisoning that same general she had treated. She would be freed but then end up starving almost to death when she returned to her household thanks to her narrow-minded mother-in-law. If you are reading this review you might not get why I'm saying it's painful to read, but try it yourself and I think you'll get my point. I can't sympathize with the MC's logic. It's like she doesn't know the real way of surviving in that world because even if she's equipped with poisons and a genius at it, she... ugh, I don't get how she can purposely poison someone and then treat that person, all to get nothing in return. One time she confronted her evil father inside the jail, I can't understand why her poison skill suddenly became forgotten which result to her being toyed by the evil father to lighten up the sentence on him. There are really so many questionable points... and it's making me doubt whether she really knows poisoning. Wait, scratch that. It seems to me she does, only she's clearly not in know of how to put it in good use. How I wish for her to use her poison skill to at least create a band of useful and faithful subordinates/bodyguards for herself. I had read some shoujo novel. but this is the very first one that pissed me off from the very first beginning. Start by MC being killed by her boss with a stack of papers because of a lame excuse of biggest donator priority. The story is so irritating. All the characters are very 2dimensional annoying. Either all the female that blindly jealous with delussions, a general with rash personality and brawn for brains (aka idiot), all the old females that have poison scheme for MC (MC`s mother in-law, MC`s supposed... more>> to be godmother empress dowager, etc), and many else as story goes... At least ML are kinda "normal", I think? This novel also have a masochist tendency MC. Because she always heal her enemies, make the same bully scene repeatedly over and over again without end as a loops. Just to be, in the end, rescued by her husband in shining armor (when he hv a need or the mood todo so). So "Easily cowed and bullied" phrase are perfectly suit phrase for this MC til the end of the story. Last, like most of readers said, I gladly volunteer to replace the MC even for a short time, spread poisons worldwide to all her enemies and eat popcorn while watching them suffering to dead, to end the looping plots and make the story goes to a more normal path. Not my type of reading.